Here's my last outfit from #SBScon. I figured this gorgeous and super fun sparkly midi skirt was the perfect option for a night on the town in Charleston. Plus, my blog's name is Bedazzles After Dark after all. I know I've already shared my love for the 90's over and over again, but I just can't enough of crop tops or these peep toe mules. I wasn't sure if mules were even for me, but once these babies arrived, I knew it was love at first purchase. I loved them SO much, that I even bought them in black. Yes please! Pssst they run a little bit so make sure you get your size. If you're in between sizes, I'd size down. I'm headed to CA this week for so much needed girl time with my favorites. I haven't even started to think about packing. Does anyone else wait until the last minute to pack? I'm the absolute worst. So basically I'll be up late on Wednesday night before my 7 AM flight. Why fix something if it ain't broke ;) Happy Tuesday loves! absolutely LOVE the skirt. It's fantastic! That skirt is perfect for a night out. Like you said, this skirt is perfectly fitting for your blog name. I love the look and the mules are fab. Have fun in Cali! Such a fun and stylish look, I just love the mules as I have had some mules on my wishlist for awhile. Looking glamourous in sparkles. The crop top and sequin skirt is perfection! I think it is really tough to pull off a skirt like this and you are rocking it! adorable outfit! I love the sequin skirt with this! 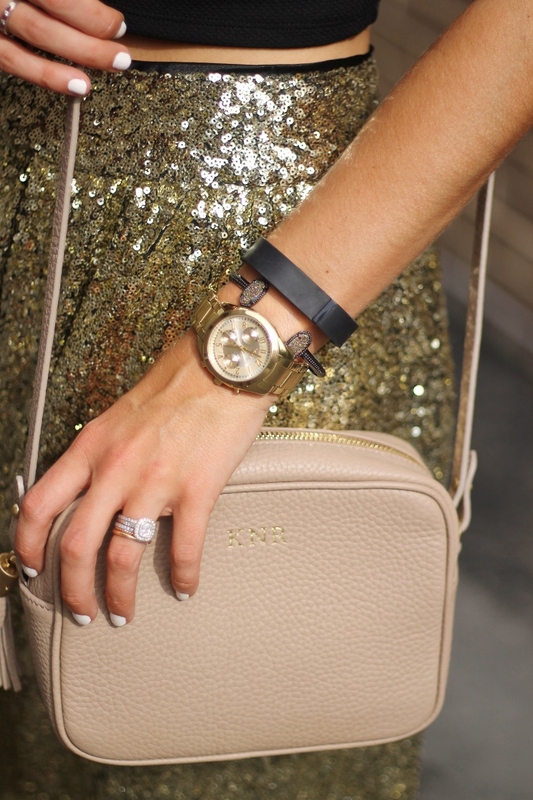 Love the sparkles, great shoes and accessories with the outfit! What a fantastic skirt girlie.